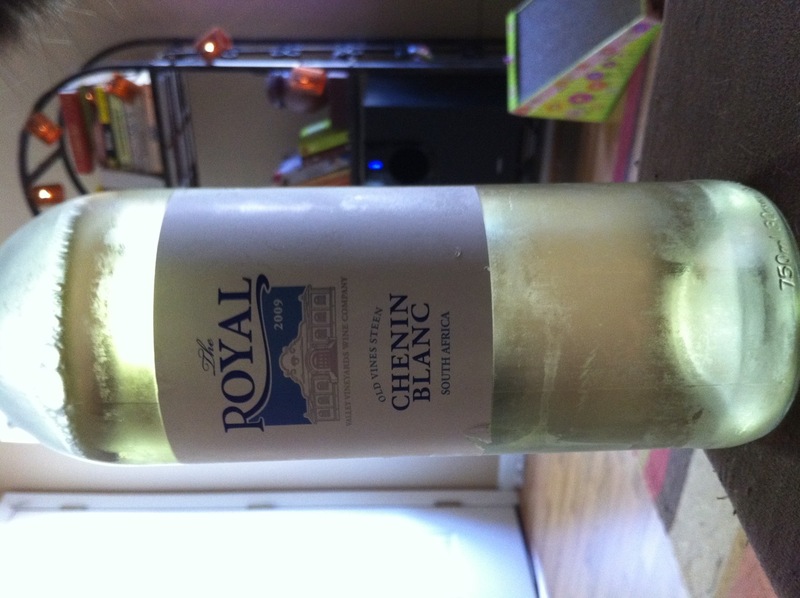 Royal Chenin Blanc, 2009 South Africa | the wine snob. I said to myself- “Self? What should I write about this week?” How about the most underappreciated wine on our list, my Self answered. Why yes, I replied. That sounds good. This wine has quietly been on our by the glass list for several months, and also hung out at all the wine sales, selling for a mere $9 a bottle- and yet, has gone unnoticed. Why? I wondered. Because it’s from South Africa? Because it’s so inexpensive that you think it couldn’t possibly be very good? Because it’s Chenin Blanc and maybe you haven’t heard of Chenin Blanc? Because the bottle design isn’t the greatest? (Really, I love this wine, but the label makes it look like it belongs on a cruise ship). All these forces combine against poor Royal. It’s also been one of those wines that I periodically forget about- and then I revisit it and remember how awesome it is. This wine is so vibrant, it’s aromas pretty much fly out of the glass- tropical fruits like pineapple, ruby red grapefruit, lime zest, guava, gooseberries (what is a gooseberry? 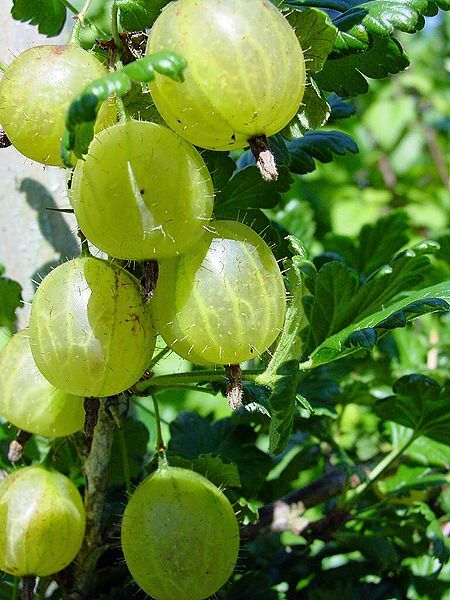 kind of like a fuzzy, tart little grape- see below), and a crisp, tangy finish with notes of green apple and honeysuckle. Fresh, lean, crisp, breezy and charming! It hints more towards the French Vouvray style of Chenin Blanc than anything else, meaning that it is not over-the-top with it’s fruit characteristic, instead just offering them up gracefully. You really can’t go wrong with this wine- it’s an amazing value and a perfect end-of-summer sipper that will go nicely with a porch swing and a sunset. Or a backyard and the smell of cut grass. Or a dusty parking lot while that September sun beats down as you prepare to watch some Carolina football. Okay, that was the last comparison- although I could very well go on! Suffice to say, you should grab a bottle or two of this before Summer is completely gone! I’m gonna keep it short for this Friday morning, but stop in to Cellar any time for a quick taste to confirm everything I’ve just said, and then off you go! ← Two Frenchies! Okay, Deux Frenchies! Going on two years since I wrote this post and I still love this wine to death!